Have you been thinking about volunteering with one of our member club? 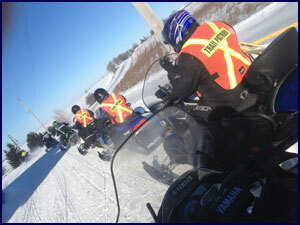 Volunteering with your local snowmobile club provides one of the most basic human needs: friends and fellowship. You will find instant friends in your own community and across the province. Volunteering is for all ages. It keeps us active and young at heart. It's been shown that children who have parents that volunteer are likely to become volunteers themselves. What easier was is there for use to share our talents, learn new skills and make new friends? 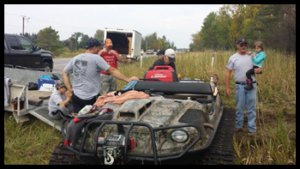 Each snowmobile season Volunteer Recognition nominations are accepted for such awards as "Club Volunteer of the Year", "Trail Patroller of the Year", along with others. From all the nominations one person is selected for each award. If you would like to find out more about volunteering please contact one of our member clubs. 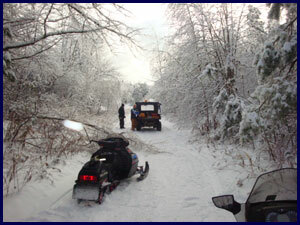 to ride a top notch trail system, we Thank You!